Forget the Box and Indie Montreal are proud to present the exclusive Canadian video premier of Psychocide’s Mr Suit. This four-piece, originally from Brooklyn and now based on Montreal, offer a catchy blend of rock, punk and metal. They will be premiering a new album, Alcohol & Bad Decisions, March 2nd and a related comic book later this spring. Each song on the album focuses on a different fictional character and the first up, in this new video, is Mr Suit. The band will be officially launching it tomorrow (Saturday, February 18th) at Barfly, 4062A Boul St-Laurent with Young Critters and Call Me Steve, but we have an exclusive first watch. This week we’ve got an exclusive video launch with Psychocide to preview and some great bands to take a look at. So if you’ve managed to dig yourself out from under all the snow then we’ve got a few suggestions for some shows to check out this weekend. 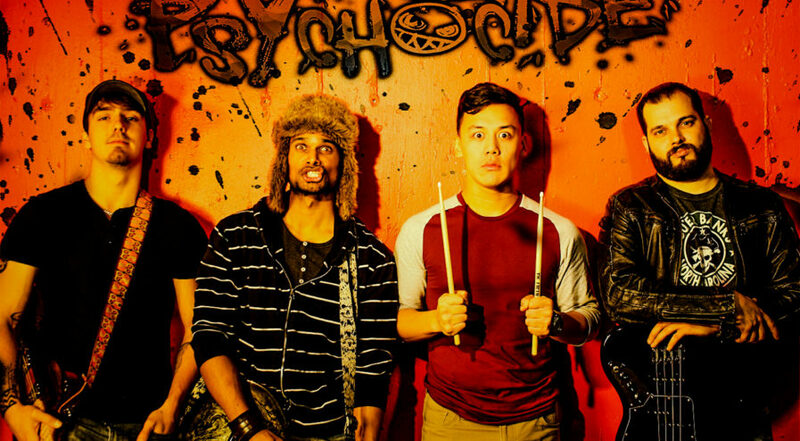 On Saturday Barfly will be hosting an evening of “punk n’ roll” featuring Psychocide, who will also be using this event to celebrate the release of their new video for the track Mr. Suit. On a completely related note: FTB, in conjunction with IndieMontreal, has secured the rights to the exclusive video premier tomorrow (Friday). So be sure to come back and check that out! Also set to take the stage on Saturday will be Young Critters and Call Me Steve making this a full evening of music for a highly reasonable price of only five bucks. They’re selling tickets in advance so you might want to get right on that considering Barfly isn’t the biggest of venues and this show is guaranteed to draw some attention. Psychocide, Young Critters and Call Me Steve play Barfly, 4062A boul. Saint-Laurent, Saturday, February 18th, 8:00pm (Doors at 7:00), $5 in advance through box office or $8 at the door. With four albums under their belt, Montreal based Elephant Stone have really hit their stride fusing traditional Indian music with pschedelic rock and pop. The results can be seen on their numerous releases and most recently on their album Ship of Fools which came out in 2016. They’re really worth a listen and if you like what you hear then you’re in luck because they’re playing at Théâtre Fairmount this Saturday accompanied by Walrus and Wizaard. Both these acts are a perfect fit for an evening psych rock. If that’s your thing then we’ll see you there! 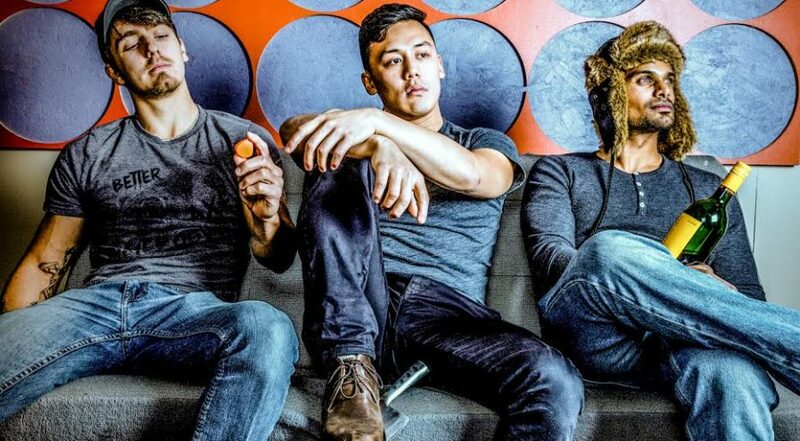 Elephant Stone, Walrus and Wizaard play Théâtre Fairmount, 5240 Avenue du Parc, Saturday, February 18th, 8:30pm (Doors at 7:30), $15 in advance through box office or $20 at the door. SonReal is returning to Montreal. The Vancouver-based hip hop artist is currently on the No Warm Up Tour in support of his EP The Name. After playing the Fairmount last September, the Can I Get A Witness artist is heading to La Sala Rossa. He will be joined by Toronto-based artist and producer Clairmont the Second. There is also a VIP option for people interested in meeting SonReal and getting a pre-show warmup concert. Greenland Productions and Evenko present SonReal with Clairmont the Second at La Sala Rossa, 4848 Boulevard St-Laurent, Tuesday, February 21st, 9:30pm (doors at 8:30pm), $20 in advance, $23.75 at the door ($65 VIP tickets). * Know a band or an artist that should be featured in Shows This Week? Maybe a show FTB should cover, too? Let us know at music@forgetthebox.net. We can’t be everywhere and can’t write about everything, but we do our best!